This And That (About The Word of God): Where Did We Get Off Track? The body of Christ today is certainly not functioning as it did in the initial formation following the resurrection of Jesus. Yes, there are many, many individuals serving God according to His word. But the collective body of Christ; the various assembling of God's people have strayed far from the original design. While we most certainly should be concerned with the harvest of lost souls, the goal should be to ensure that their souls are right with God. The concern should not be on how to increase the church membership. The focus in the church service should not be on the praise team, praise dancers, adherence to the church program, but on the flow of the Holy Spirit and the word of God. Instead, plays, concerts, church dinners, building fundraisers and things of this nature dominate our time and our focus. We have lost our primary focus and seek more to entertain ourselves and even the lost with things that we have added instead of using what was given to us by God. In taking a look at the book of Acts, we clearly see where our forerunners' focus was aimed: causing souls to flock to Jesus. Individually and collectively, we should check our agenda. Our first call as believers is to witness the gospel of the good news of Jesus Christ! The book of Acts in the New Testament is the account of how the disciples, following the commission of Jesus, began the formulation of the body of Christ (also known as the Church) by spreading the Gospel to the world. Thousands were saved within just a few weeks after the events recorded in Acts 2.
. . .And at that time there was a great persecution against the church which was at Jerusalem; and they were all scattered abroad throughout the regions of Judaea and Samaria except the apostles. Therefore they that were scattered abroad went everywhere preaching the Word. One of the believers who went to Samaria to preach was Philip. This was the first cross-cultural mission recorded (Acts 8). * In Acts 9, God raised up Apostle Paul to be an apostle to the Gentiles; a missionary to the nations of the world. * In Acts 10 is the account of the conversion of a man named Cornelius. God gave Peter a vision which made him willing to go to the Gentile nations with the Gospel. * Acts 11 illustrates the importance of the Holy Spirit in directing the mission of the Church to the world. 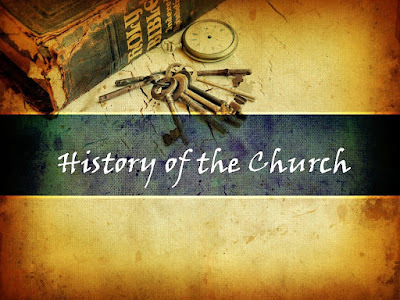 * the first missionary conference in the home church in Antioch in Acts 14:26-27, and about their first report to the Jerusalem headquarters in Acts 15:2-4. And when they found them not, they drew Jason and certain brethren unto the rulers of the city, crying, These that have turned the world upside down are come hither also; (Acts 17:6). But in every nation he that feareth Him and worketh righteousness is accepted with Him. 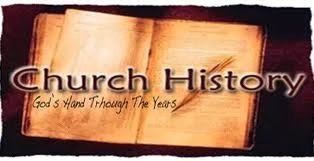 The remaining books of the New Testament were written to and by members of the first Church under the divine inspiration of the Holy Spirit. They contain many verses about God's plan for the world. Now to Abraham and his seed were the promises made. 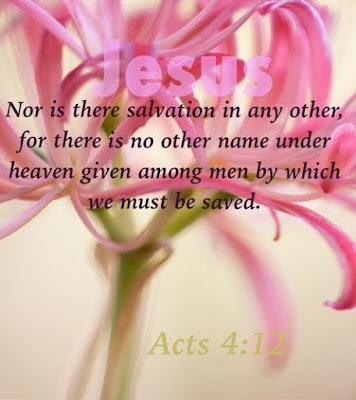 He saith not, And to seeds, as of many; but as of one, And to thy seed, which is Christ. And this I say, that the covenant, that was confirmed before of God in Christ, the law, which was four hundred and thirty years after, cannot disannul, that it should make the promise of none effect. (Galatians 3:16-17). This means we have inherited all God promised Abraham. This includes the calling to bless the nations of the world. → The Church is to present Jesus to individuals and to the world as Savior, sovereign Lord of the universe, and coming judge of mankind. → The Church is to lead people into right relationship with Jesus Christ so they may experience forgiveness of sins and new life in Him. → Through water baptism, teaching, and preaching, the Church is to establish believers in the doctrine, principles, and practices of Christian living. The Church is to teach them to "observe all things" commanded in the Word of God. → The Church is to congregate believers into functioning local fellowships of believers capable of fulfilling Jesus' mission to the world. → Each new local fellowship is to receive power from the Holy Spirit to repeat this cycle. The Church is to go to "all the world" with the Gospel.